In the iconic, early-nineteenth century horror novel, Frankenstein, Dr. Victor Frankenstein, obsessed with the science of life, creates a monster out of used body parts. Soon, however, Dr. Frankenstein comes to realize the horror of his creation, and is forced to deal with the tragic consequences of his obsession, as the monster grows beyond his control, and eventually turns on its creator. Like the story of Frankenstein, Senators Dianne Feinstein (D-CA) and Lindsey Graham (R-SC) are coming to terms with the privacy monster they created through a patchwork of unconstitutional laws that give the Executive Branch virtually unlimited power to surveill all manner of electronic communications by law-abiding citizens. While Dr. Frankenstein created his monster in the name of “science,” these senatorial enablers created theirs in the name of “national security.” And, like the hapless Dr. Frankenstein, the good Sen. Feinstein is now seeing her creation turn on her. Last May, I wrote about Obama’s insistence that the scandals plaguing his Administration were the result of rogue officials acting without oversight -- as if Big Government has become a “sentient being” capable of operating without actual executive direction. Yet, this autonomous culture of extra-judicial action is largely a byproduct of years of sanctioning by one Congress after another turning a blind eye to the blatant constitutional abuses by the NSA and other federal agencies. Only now that the monster is awake, and perhaps even beyond the control of its masters, are government officials “outraged” at what they themselves helped create. Reports of domestic snooping by the NSA ignited a long-needed debate about the executive branch’s attack on the fundamental privacy rights of American citizens, and about the very balance of power between the executive and legislative branches. However, more recent revelations about CIA spying on the communications of members of Congress and their staffs (including Feinstein’s) has expanded the scope of the debate, and raised fears of an out-of-control government to a new level. Simply put, Feinstein believes Americans are too ignorant to understand national security issues, and they must trust that the government is being professional and respectful in how it “protects” them. It is this childish -- and historically naive -- attitude toward basic civil liberties that makes Feinstein’s outrage all the more hypocritical. Before Congress itself was known to be a target of Uncle Sam’s snooping, spying on citizens was considered “protecting America.” Now that Congress finds itself a victim, “heads should roll” and “people should go to jail,” according to Graham. Privacy for me, but not for thee, it seems. 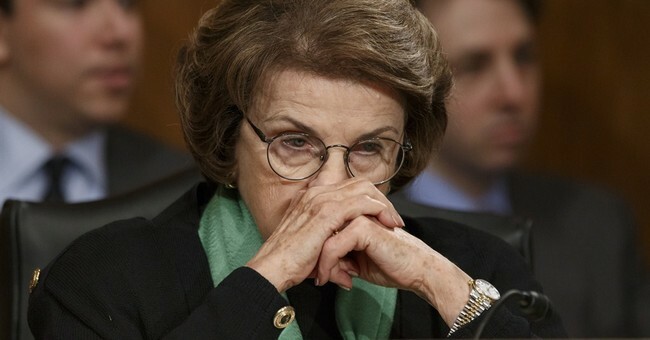 If Feinstein and other privacy hypocrites really cared about the balance of power between the legislative and executive branches of our government, or about personal privacy, they would stop mewling about being a victim of illegal spying and begin to rally support for the USA FREEDOM Act. This legislation would finally see Congress exercising its first real oversight of Executive snooping since the 1970s, by placing actual legal restrictions on the ability of agencies to spy on US citizens. But, until those like Feinstein and Graham realize that the Constitution applies to citizens -- not just to them as government officials -- there is little hope of turning back this surveillance clock. Tragically, the U.S. Justice Department has gone completely AWOL in its responsibility to protect the citizenry against breaches such as we now know have been committed by the NSA, the CIA and other agencies. Deputy Attorney General James Cole, for example, blithely admitted publicly during a House Judiciary Committee hearing last month that the government likely was monitoring congressional communications; but not to worry, because the agency would not actually listen to the communications . . . unless it really had to. Small comfort indeed.